I present you a little assortment of additional software to make the agony of choice easier for you. I don't recommend to install all this software - there is no point in installing three audio-players etc... Don't forget to deinstall an already installed software if you are going to install a replacement. How to install or deinstall software is explained at step 4. Full featured email-client - provides integrated mail, addressbook and calendaring functionality. 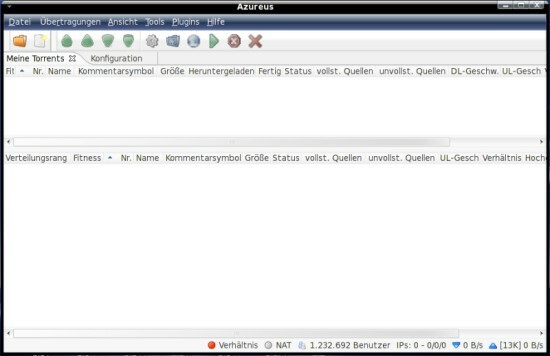 Azureus is an easy to use bittorrent-client with a great many features. 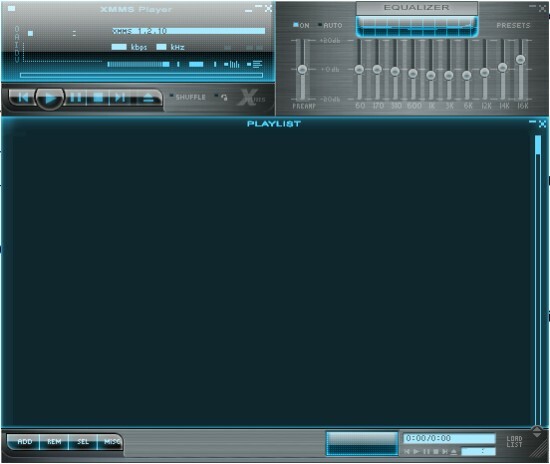 Audacious is a lean audio-player. Note: The theme on the screenshot is "almond dark blue". 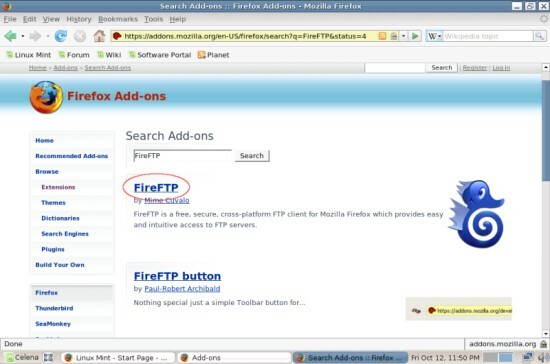 FireFTP is an extension for Firefox. It provides an easy to use, full featured ftp client. 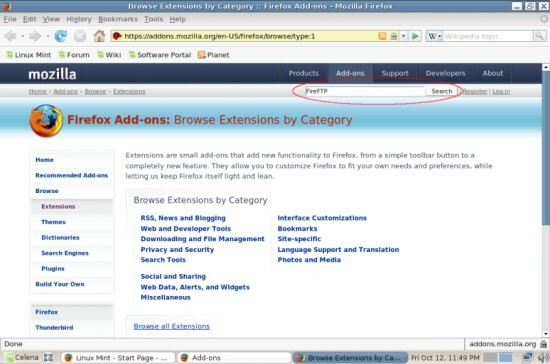 It can be startet without firefox from the gnome applications menu. 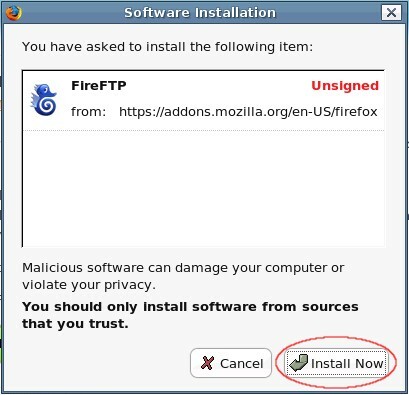 If you want to use FireFTP, open Firefox. 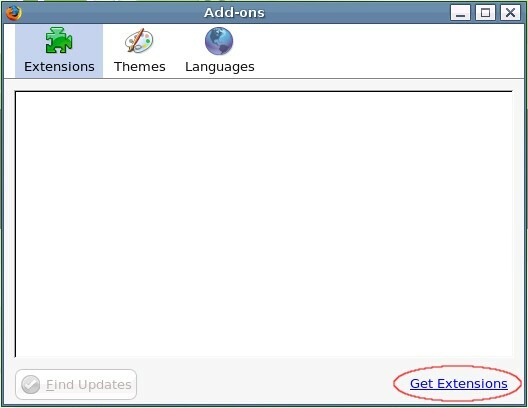 After the installation is finished restart Firefox. FireFTP is available in the upper menu. 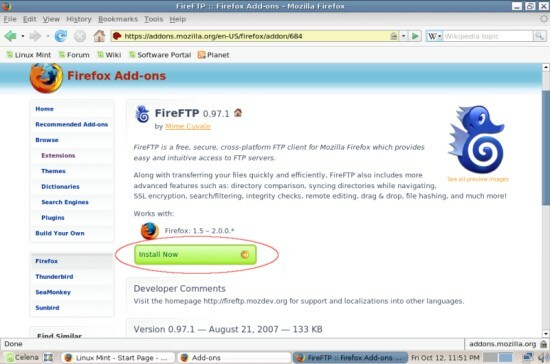 To start FireFTP without Firefox from the gnome applications menu create a new launcher and add the command: firefox -chrome chrome://fireftp/content/.